DAP Emperor and Pakatan Harapan Overlord Lim Kit Siang has blamed UMNO for conducting ‘black ops‘ to cause an implosion inside Melaka DAP after four senior Melaka party members resigned from the party citing disagreement with how the party is being run. The four are Kota Melaka MP Sim Tong Him, Duyong assemblyperson Goh Leong San, Bachang assemblyperson Lim Jak Wong and Kesidang assemblyperson Chin Choong Seong. The only ‘Black Ops‘ done to DAP was by U-Turn Mahathir when Kit Siang befriended the former and caused Penang DAP’s Shamsher Singh Thind to leave the party late last year. Shamsher left DAP after the Emperor and his son, Tokong Lim Guan Eng decided to have DAP work with U-Turn Mahathir. Kit Siang is trying to deby the fact that Melaka DAP has long abandoned his family when in 2005 they booted both the Tokong and his beloved wife, Rainbow Betty Chew, from Melaka after the pair lost badly in the 2005 Melaka DAP party elections. The Tokong then contested in Pulau Pinang parliamentary and state seats in the 2008 General Elections. Upon winning both seats he appointed himself as the de facto Chief Minister of the state. Since then, the Tokong has been proven to lie about many things including abusing his power to satisfy his self-interest in the purchase of the infamous swimming-pool-less bungalow at Jalan Pinhorn. He has been charged in court for corruption over a similar offence committed by former Selangor Menteri Besar, Khir Toyo. Recently, he was called out by blogger Miss Lim Sian See for lying about absorbing GST charges for parking in Pulau Pinang. Perhaps, the Emperor also blames UMNO ‘Black Ops‘ for causing his son to be stupid. 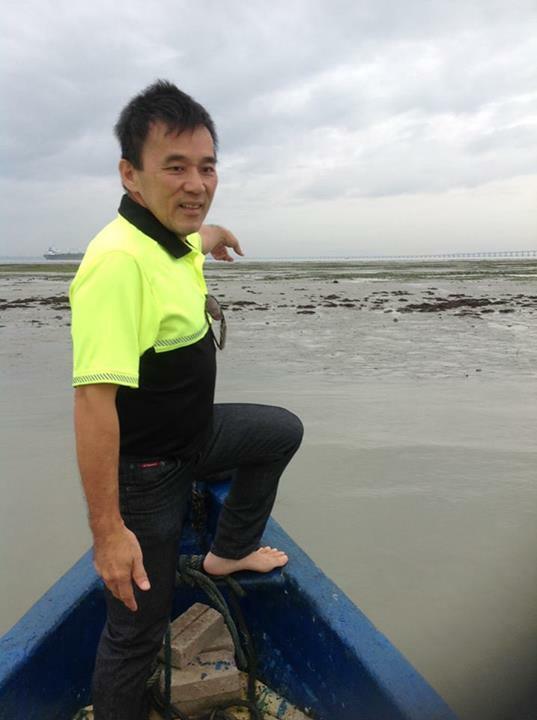 Back to the implosion within the DAP, Teh Yee Cheu, the Pulau Pinang state assemblyman for Tanjung Bungah emphatised with the four Melaka DAP officials who resigned. 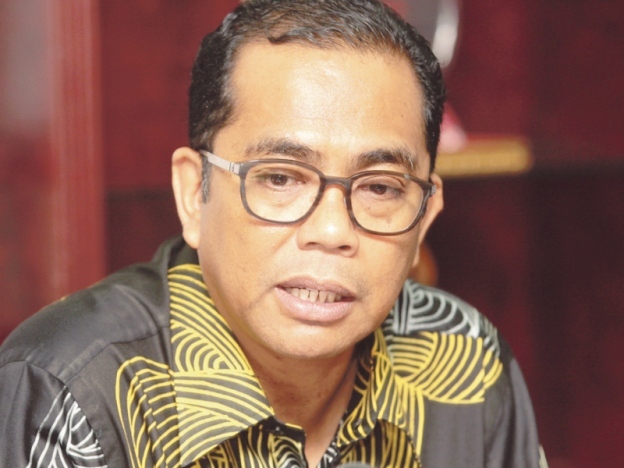 Teh said that Pribumi leaders were long-standing Umno members and he was worried that working with the party would eventually lead to the formation of “Barisan Nasional II”. “Then we’ll have Mahathir, Muhyiddin and Mukhriz all over again,” he said. This is not the first time that Yee Cheu has gone against the Lims. In November 2016 he asked the Tokong to not chair State Planning Committee (SPC) or Land Committee pending his corruption trial. Yee Cheu is a “Penang Lang” while Tokong is a “Wai Lao” who was born in Johor, kicked out of Melaka, and now dictating to the Penangites. I am sure Emperor Kit Siang realises that Teh Yee Cheu is a Malay and has always been an UMNO member and is part of the “Black Ops” against DAP. 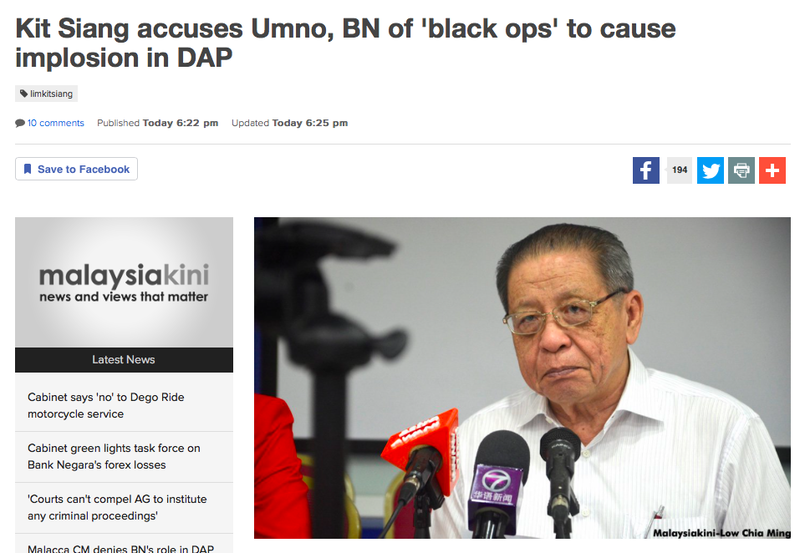 Another “Black Ops” was during the 2013 DAP party elections when UMNO’s company Microsoft, planted a doctored Excel spreadsheet program to sabotage the party elections. Even the Registrar of Societies have yet to come with a decision on the outcome of the elections AFTER FOUR YEARS. But what Emperor Kit Siang will soon realise when his son the Tokong goes to jail for corruption is that his wife Neo Yoke Tee has always been a closet UMNO member and was instructed to give birth to a dumb son. The good thing is that Lim Kit Siang will still have a scapegoat for that. Semasa Nabi Musa a.s berdakwah kepada Firaun, Firaun bertanya kepada Musa di manakah Tuhan yang disembah oleh Musa? Secara ringkasnya, Musa menjawab bahawa Tuhan berada di langit. Maka Ayat 36 Surah an-Nahl di atas menceritakan bagaimana Firaun menyuruh Haman membina menara yang tinggi. Menara yang tinggi ini adalah supaya Firaun dapat melihat Tuhan dan menganggap Musa seorang pendusta. Ayat 37 di atas, dari surah yang sama, menceritakan bagaimana Syaitan perhiaskan kepada Firaun akan perbuatannya yang buruk itu untuk dipandang baik, serta dia dihalangi dari jalan yang benar dan tipu daya Firaun itu tidak membawanya melainkan ke dalam kerugian dan kebinasaan. Sesuai dengan gelaran Mahafiraun yang diberikan oleh para penyokong Anwar Ibrahim sekitar tahun 1998, Mahathir membuktikan betapa relevannya ayat-ayat suci Al Quran di masa kini yang mana perlakuan Firaun di zaman Nabi Allah Musa a.s masih menjadi ikutan. 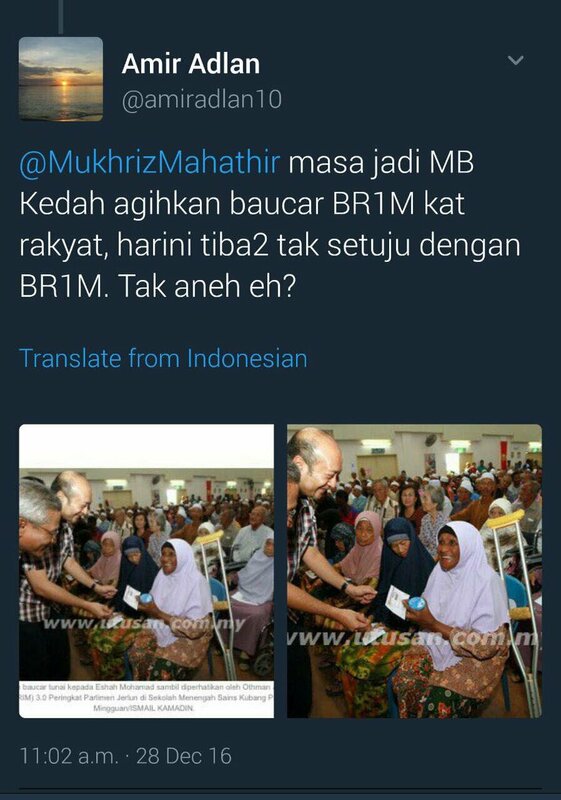 Sesuai dengan kepercayaan Firaun bahawa beliau adalah tuhan yang paling tinggi (an-Nazi’at Ayat 24), Mahathir kini sudah berani mengharamkan yang halal dan berperangai melebihi Tuhan, mengetahui mana ibadah yang mendapat al-birru (kebaikan) dan maqbul, dan mana satu ibadah yang nyata ditolak Allah. 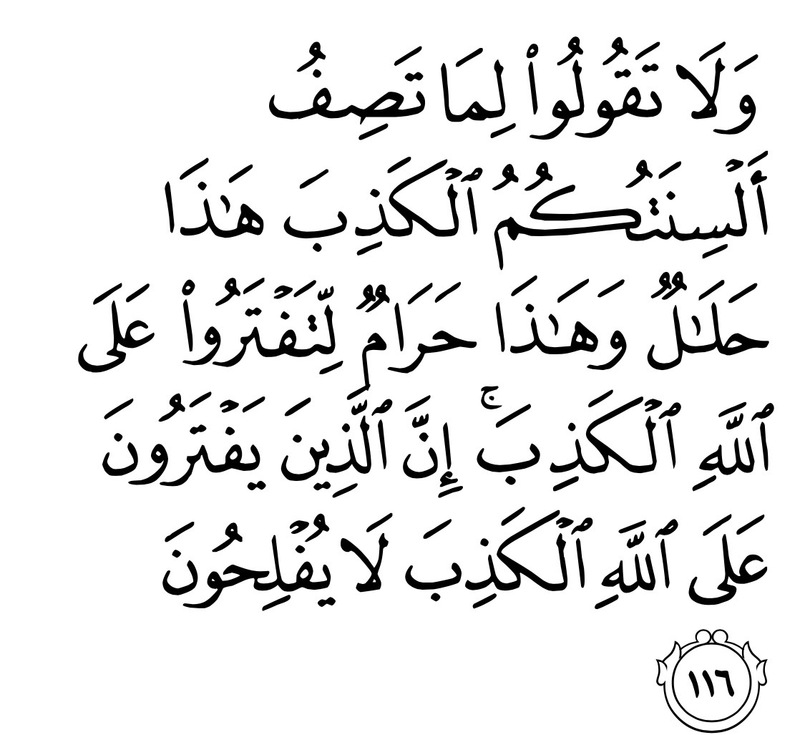 Ayat 116 Surah an-Nahl di atas bolehlah ditujukan khas kepada orang yang merasakan dirinya lebih tinggi dari Firaun. 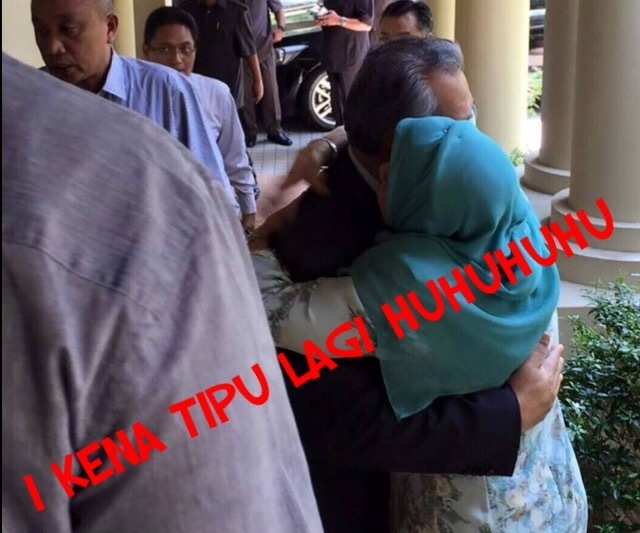 Mungkin sebagai Mahafiraun Mahathir boleh menerangkan bagaimana pula hukum menunaikan ibadah menggunakan hasil yang diperolehi dengan cara penipuan? Jika mampu pergi dan sihat tubuh badan tetapi tidak dijemput Allah SWT, tak dapatlah seseorang itu pergi. Jika mampu pergi dan dijemput Allah SWT tetapi tubuh badan tidak sihat, tak dapatlah seseorang itu pergi. Sekiranya sihat tubuh badan dan dijemput Allah SWT tetapi tidak mampu, tak dapatlah seseorang itu pergi. 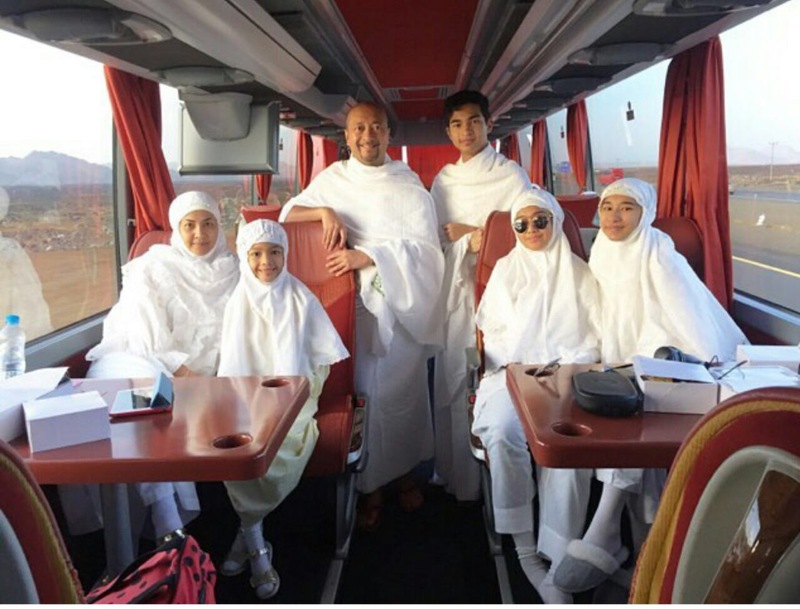 Jelas Mukhriz di atas dijemput Allah SWT dan telah memenuhi ketiga-tiga syarat yang saya senaraikan di atas. Maka bukan hak saya untuk menjatuhkan hukum sama ada ibadah Mukhriz dan keluarganya itu mabrur ataupun tidak kerana menjatuhkan hukum itu hak Allah SWT seperti yang disebut dalam Surah An-Nahl di atas. Namun Mahathir tidak berfikir sedemikian. Bersebab beliau digelar Mahafiraun. Has Khaled Nordin lost control over Johor? Five years from now, Johor will not even be an Umno stronghold if those in control of the party are “beraja di mata, bersultan dihati” even among their fellow Umno people. Do mark my word on this. It took merely almost three and a half years before that actually happened following the departure of Jorak assemblyman Datuk Dr Shahruddin Md Salleh from UMNO to join Mahathir’s Pribumi. For the first time in 61 years, the Barisan Nasional/Alliance holds its two-thirds majority in its Peninsular safe deposit, Johor, by a single thread. Losing two-thirds majority in UMNO’s bastion used to be unthinkable right until the 13th General Elections when the Chinese Tsunami swept many state and parliamentary seats. It lost 12 seats in the last general elections compared to GE12 in 1998, and this time around the biggest gainer was the DAP with nine extra seats. Barisan Nasional ended up initially with 38 out of the 56 seats. With the departure of Jorak, it now holds the two-third majority with the bare minimum number of seats. Despite the progress and development that are taking place in Johor, Ghani was trounced not because he did not do his job, but because of blatant racial sentiment. As with the previous three general elections, Ghani would not be seen sitting comfortably in his office at least two years prior to the elections. He would be on the ground making sure that the machinery is ready to face the next battle, and there would be elections simulations held at various levels of the state’s BN. Ghani would also make sure that his relationship with the Johor Civil Service (JCS) remain at the highest level. Life of Annie also pointed out that when Ghani pointed out to Khaled that his Pasir Gudang division was in danger of falling into the Opposition’s hands, Khaled did not take that rather well and rubbished the findings. The simulation was almost correct – Barisan Nasional held on to Pasir Gudang with less than 1,000 votes ahead. With Ghani ousted, Khaled wanted to make his own mark as the Menteri Besar. 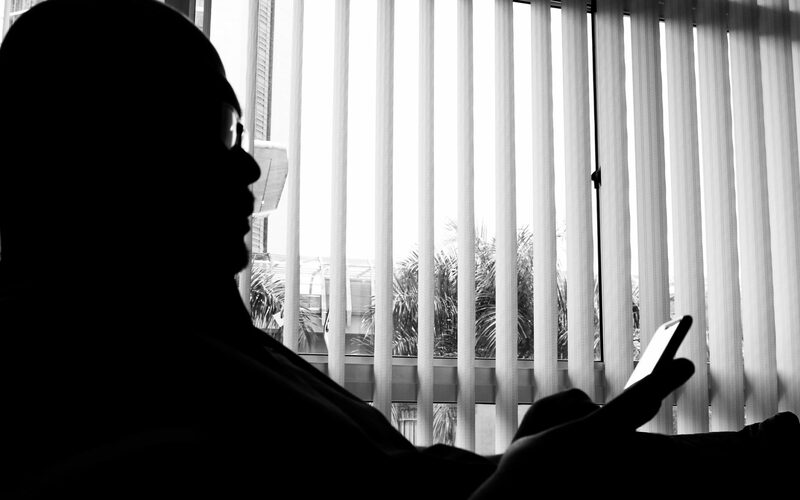 The job as the Menteri Besar of Johor is not exactly an easy one. With a Sultan who can be somewhat overbearing and often puts his hands into the affairs of the state administration, the Menteri Besar would have to know how to manage both the Sultan and the state administration without upsetting either one. Ghani was an old hand at this and knew exactly how to handle the Sultan, having had to also manage the unconventional behaviour of the Almarhum Sultan Iskandar previously. He had a good relationship with both Sultans, knowing when exactly to pull the strings and when to let it slack. Khaled is said to let the Sultan have things his way so much so that even the promotion of JCS officers is left for the Sultan to decide. While Ghani was often seen patting the back of JCS officers for the good job that they do, Khaled lets the Sultan do the Menteri Besar’s job for him. While the Sultan might like it, this doesn’t augur well for the state Barisan Nasional. Any administration would want to have some form of control over its civil service and a good rapport to go with. It is already less than two years to the next general elections. Unlike Ghani before him, Khaled is still mostly seen in Johor Bahru. Ghani and his executive councillors would have been scouring the state to see what else that have been missed. Speaking to a Puteri UMNO division head recently she expressed her worry that none of the division heads have actually begun to activate their election machineries in a concerted manner. This particular Puteri UMNO head has had to conduct her own voters and membership registration drive; an effort which is puny compared to the ones that have and are being done by the DAP in Johor alone. If you were to ask the UMNO division chiefs in Johor, they would tell you that all is rosy, and that is until you speak to them on a one-on-one basis. However, Khaled has told reporters that the Johor Barisan Nasional still holds a comfortable majority despite it being razor thin after the departure of Jorak. To the UMNO grassroots, Khaled’s confidence is extremely worrying. It is no secret that the DAP will be working with Pribumi to wrestle control of Johor from the Barisan Nasional come GE14. It is hardly an impossible task too! Muhyiddin might be a figure to be reckoned with both in Pagoh and Muar, but outside those two areas, he is still remembered as the person who sold Johor Malays’ rights to the Chinese. Mahathir knows this very well as he was the one who rescued Muhyiddin when the latter became a persona non grata in Johor in the early 1990s. 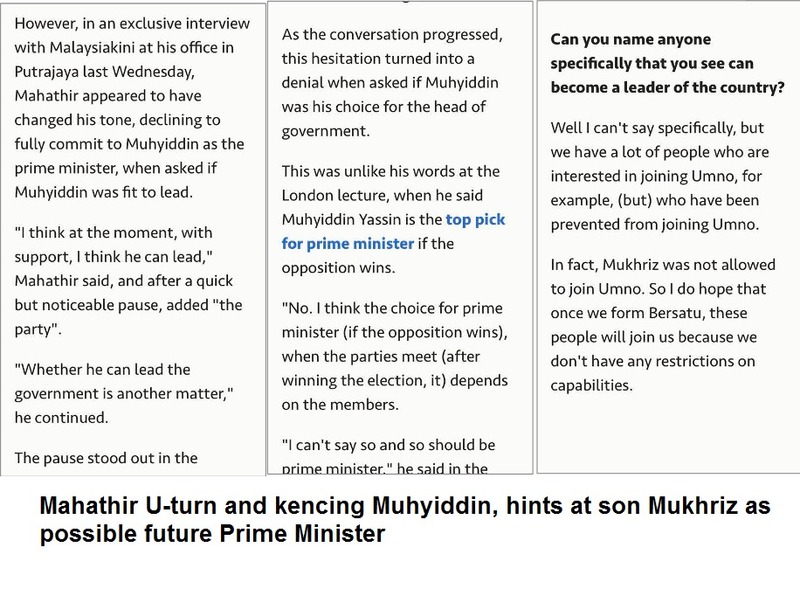 Mahathir knows that Muhyiddin carries a lot of baggage with him and would not be the correct person to lead the country if the Opposition wins. There is already an attempt to kill Muhyiddin politically. You hardly hear of any statement being made by Muhyiddin while Mukhriz is seen going around in Johor conducting membership registration drives. No clues needed for the question on who is Mahathir’s choice for PM. DAP on the other hand, wants to conquer the western Johor belt, where there is a significant number of Chinese population as compared to the eastern belt. During a dinner at the Landmark Hotel with Batu Pahat DAP members, DAP’s MP for Kluang Liew Chin Tong and ADUN for Senai Wong Shu Qi related the plan to wrestle Parit Sulong, Pulai and Pasir Gudang. With Batu Pahat already in PKR’s hands, all that is needed is for Muar to fall, and it is most likely that Muhyiddin would contest there, if not the often-clueless Syed Saddiq, a Muarian himself. Even Azmin Ali does not want to be left out by the Mahathir and Pribumi bandwagon. He was seen recently in Muar together with Mahathir at a Pribumi event. It is no secret that he is heading the drive for PKR to work together with Mahathir – a sentiment not shared by the pro-Wan Azizah camp that includes Wan Azizah loyalists Rafizi Ramli and Wong Chen. 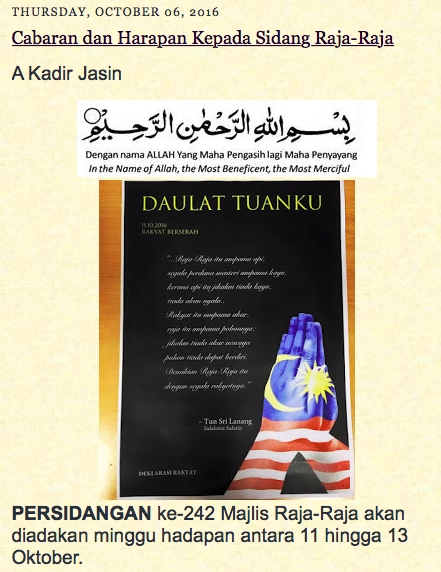 There is even talk that Azmin might work towards dissolving PKR and jump en masse into Pribumi. While that is not totally impossible, the departure of Ezam from UMNO to Pribumi has certainly strengthen that theory. The Johor conundrum is something that the Barisan Nasional (read UMNO) cannot take lightly if it were to gain more seats in the next general elections. If Khaled is not moving, then someone should take the lead and face the Opposition head on. There are two FELDA regions that need to be handled with care. Khaled should realise that there is more to Johor than just Johor Bahru. He has to go down on the ground and get the feel himself instead of relying on reports from the UMNO divisions and the various sugar-coated reports from agencies. If you do not know the terrain and its people, you will lose the war. Don’t be like Hamid Karzai who was dubbed the ‘Mayor of Kabul‘ despite being the President of Afghanistan! If this is how Khaled’s people want to behave, then I dare say that he will be just a one term MB and Johor will fall five years from now. The Opposition (DAP, BERSIH, Pribumi) is just recycling old issues. No matter if the issue raised had been clarified or debunked countless times before. I did not include PAN in the parentheses because it would be ridiculous in my opinion to even consider it a political party given the cartoon characters that fills its ranks. Not even BERSIH’s convoy in Penang could garner more than 50 supporters to join its convoy in that staunch Opposition state! A sign of times, perhaps? Issues like 1MDB is being played over and over again, especially by Mahathir’s Das Schwarze Korps but hardly gained any traction as people are bored of the same story being played repeatedly with goalposts changed to suit the message they try to send. So, what should they do next? Enter His Majesty Yang DiPertuan Agong. You must understand that while the Rulers retain some of their functions, the government is run by those elected by the rakyat. This was done to ensure that democracy in then-Malaya was not to do away with the Malay Rulers. Therefore, Mahathir’s attempt to get the Rulers Institution to dismiss Najib Razak for someone else as the Prime Minister, there is nothing that any of the Rulers could democratically do. The Rulers, although above the law, are not above the Federal Constitution. Like with the British advisors, there is virtually nothing that the Rulers could do without the advise of the Prime Minister or the Menteris Besar to affect the state or Federal administration except in a few circumstances. 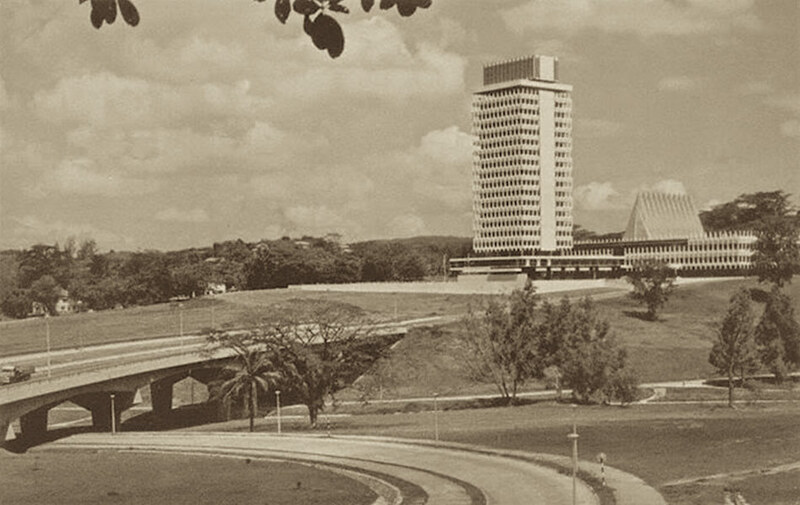 Subject to Clause (4), Ministers other than the Prime Minister shall hold office during the pleasure of the Yang di-Pertuan Agong, unless the appointment of any Minister shall have been revoked by the Yang di-Pertuan Agong on the advice of the Prime Minister but any Minister may resign his office. A General Election causes the Prime Minister to lose his parliamentary seat, and His Majesty would have to appoint one before appointing a Cabinet as prescribed in Article 43(2)(a). The Yang DiPertuan Agong therefore cannot act ultra vires. So, why is Mahathir’s Schwarze Korps so eager in pushing the idea of the Rulers Institution being able to remove a Prime Minister? The answer is: propaganda that only zombies would accept at face value. Just like the 1MDB issue where Schwarze Dummkopf A Kadir Jasin et al are saying that the investigation into the case has stopped altogether, whereas the Inspector-General of Police had announced on 19 August 2016 that the investigation into the 1MDB issue has entered its second phase! I guess Mahathir’s interest in ousting Najib Razak is just so one of his Pribumis could be appointed as the Prime Minister. For that reason he is trying to make a pact with Anwar Ibrahim’s PKR. He knows that his lie about the powers of the Agong to remove Najib Razak will soon be debunked, and that it is just noise – no substance. Therefore, he would need to work with PKR, DAP and jumpers from the BN to oust Najib Razak in accordance with Article 43(2)(a). However, despite declaring that Muhyiddin would become the Prime Minister if the Opposition wins, we all know that the protem President of Parti Pribumi would never make it as the Prime Minister. Muhyiddin has far too many baggages that would be easy to pick on. His son Mukhriz is the favourite contender. He said so HERE. Well Muhyiddin, you have been had! Former Sabah Chief Minister Tan Sri Joseph Pairin Kitingan knows very well what Mahathir would do to those he hates. He experienced that first hand in 1990 when Mahathir went all out to try depose him as Chief Minister. Pairin was Chief Minister of Sabah from 1984 to 1995. Speaking to reporters after receiving a courtesy visit from the Kadazandusun Cultural Association Youth Council yesterday Pairin said that when Mahathir is a ‘political animal’ who, when he does not like a person, would go all out (to get the person out of his way). Therefore, it comes as no surprise to Pairin when Mahathir would form a new party and work with his enemies just to try force Najib Razak out of office. 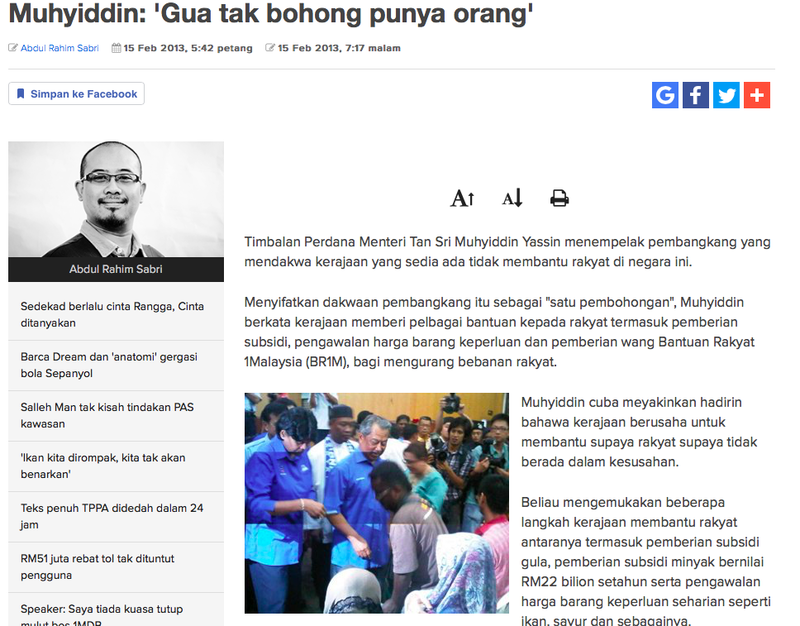 In politics, anything goes – wrote Awang Selamat, a pseudonym used for Utusan Malaysia’s editorials. And that includes trying to erase his dark past by working with DAP’s Lim Kit Siang whom he had put behind bars without trial during his tenure. It was Mahathir whom had planted the idea that DAP is nothing less than the enemies of the Malays and what Malaysia stands for, in the mind of the Malay masses. Equally disgusting is Lim Kit Siang whom had spent most of his life in DAP slandering Mahathir as being the most corrupted dictator, now seen being in the same bed with Mahathir. Another person who would know Mahathir well is Tan Sri Musa Hitam, who was Mahathir’s deputy from 1981 to 1986. While he described Mahathir as “observant, innovative, and meticulous” he also used the words “authoritarian, contemptuous, and belligerent”. In an article by The Star, Musa said Dr Mahathir could be pleasant and engaging at times, but would often come off as being disinterested in dialogue or debate. “Discussion and debate were never the order of the day,” he wrote in his book ‘Frankly Speaking’ which was recently launched by His Royal Highness the Sultan of Perak. This was echoed by the former Grand Mufti of Jordan, Professor Dr Amin Mohammad Sallam al-Manasyeh in an interview with the portal MalaysiaGazette. “I am of the opinion that if Allah gives him (Najib) time, he will continue to develop and position Malaysia as the best country in the world. That’s what I think about him,” he said in the interview. I, too, had doubts about Najib Razak’s ability to do well as the leader of this country. Up until April of 2015 at least, I and like-minded friends did not think that he would last in the face of relentless acrid attacks by Mahathir. By May, Mahathir faltered and changed goalposts several times while Najib Razak stood firm, unwilling to budge even a bit. Most of us saw that the light shone by Najib in the tunnel of lies made by his detractors is far brighter than the one shone by Mahathir. And this year, Mahathir received multiple slaps first in the form of the resignation of his son Mukhriz as the Menteri Besar after being told by the Council of Regent of Kedah that he had lost majority support of the State Assembly. 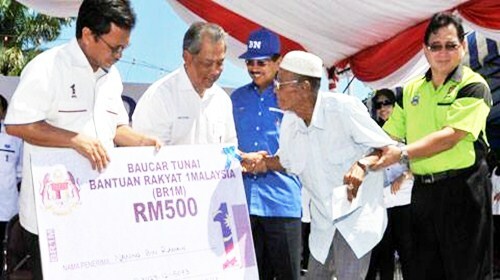 This was followed by his own resignation from UMNO. Then came the hattrick wins in Sarawak, Sungai Besar and Kuala Kangsar elections where, despite Mahathir’s claims, Barisan Nasional still won. And then he was conned by his own people for faking more than half a million signatures of people reportedly in support of his ‘Save Malaysia’ declaration. Mukhriz, seen here with Tan Sri Tunku Sallehuddin ibni Almarhum Sultan Badlishah, Chairman of the Council of Regent of Kedah (right), and council member Tan Sri Tunku Abdul Hamid Thani, leaving the Wisma Darul Aman after a meeting with the Council of Regent. 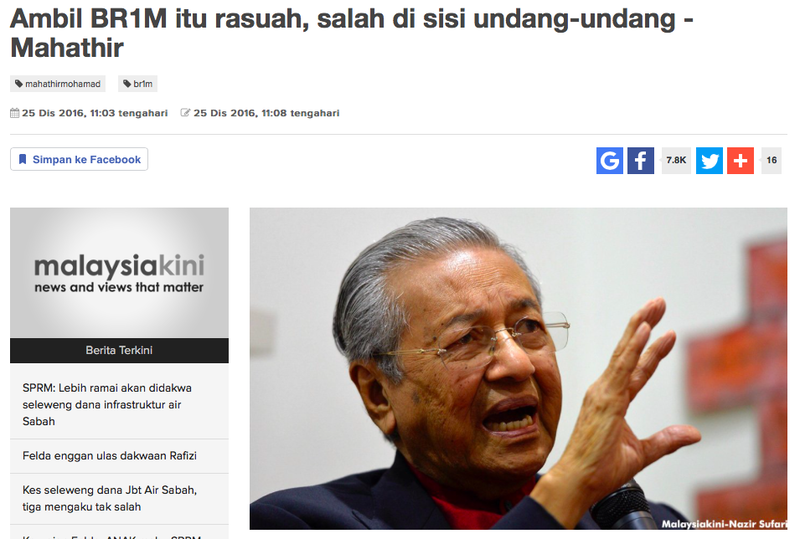 One would think that at 91, Mahathir would take it slow and call it a day. 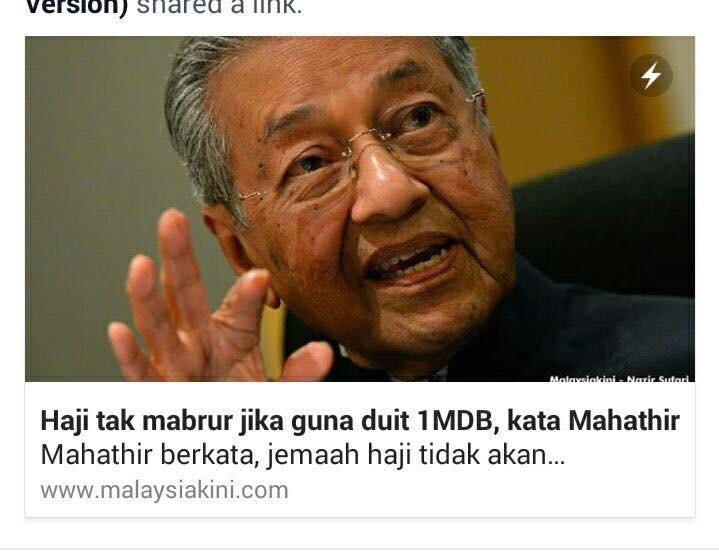 Well, that is not Mahathir. 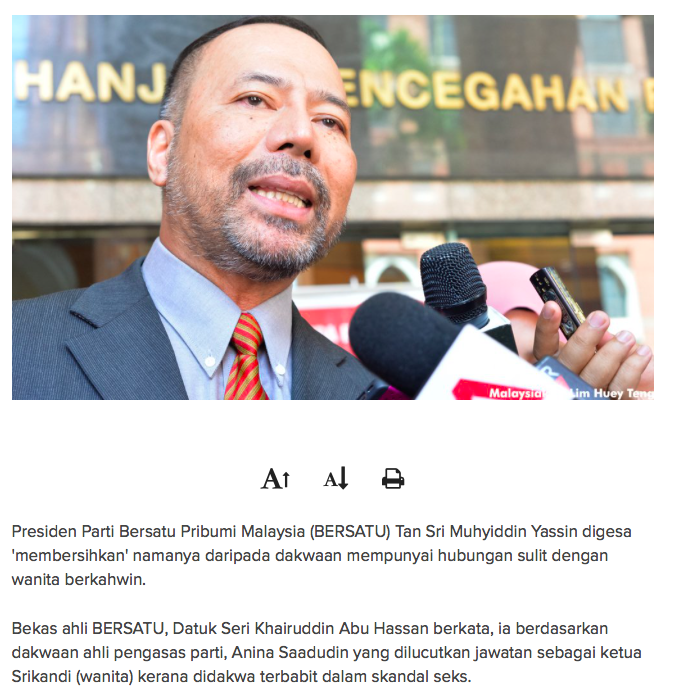 In the end he sets up another political party called Parti Pribumi Bersatu Malaysia (BERSATU) where Najib’s former deputy Muhyiddin Yassin becomes the pro-tem President, and his son Mukhriz the pro-tem Treasurer. And where is Mahathir in this party? He positions himself as Lim Kit Siang has – the Puppet Master. Despite being a political giant, Muhyiddin has all but lost support in Pagoh and Muar. Many Johoreans still remember him for his sins committed against the Malays. He would now have to find another seat to contest in. Otherwise his political career is as good as over. Instead of departing on his terms, as he did in 2003, he may now find himself leaving the scene a loser. And like a rock does he stand.